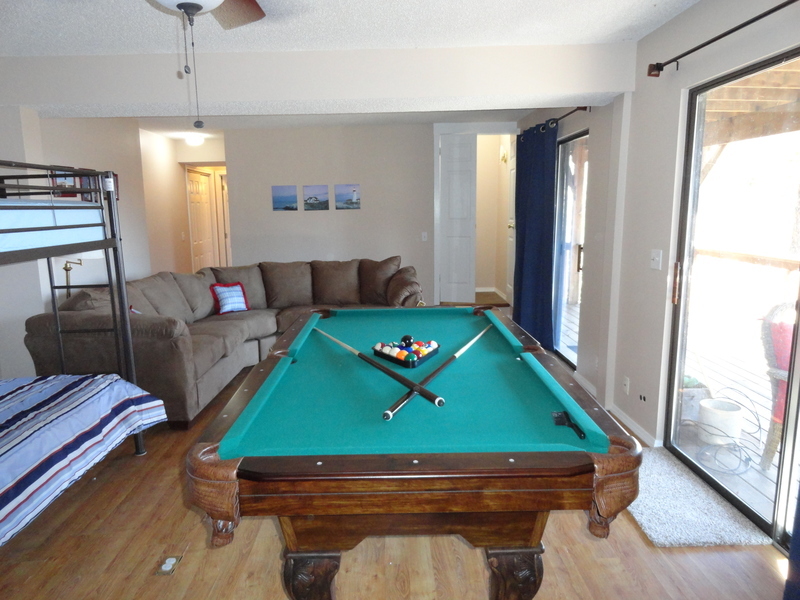 Two great levels with plenty of room for relaxing and enjoying family and friends! 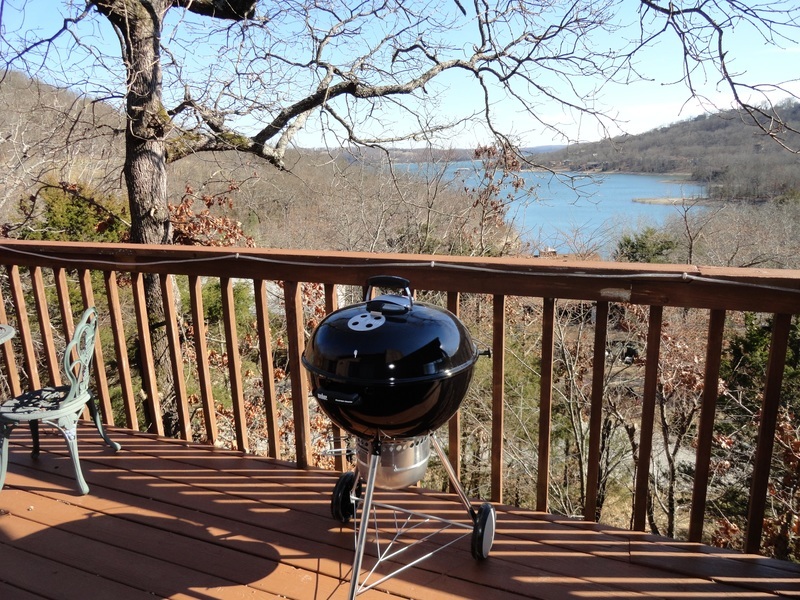 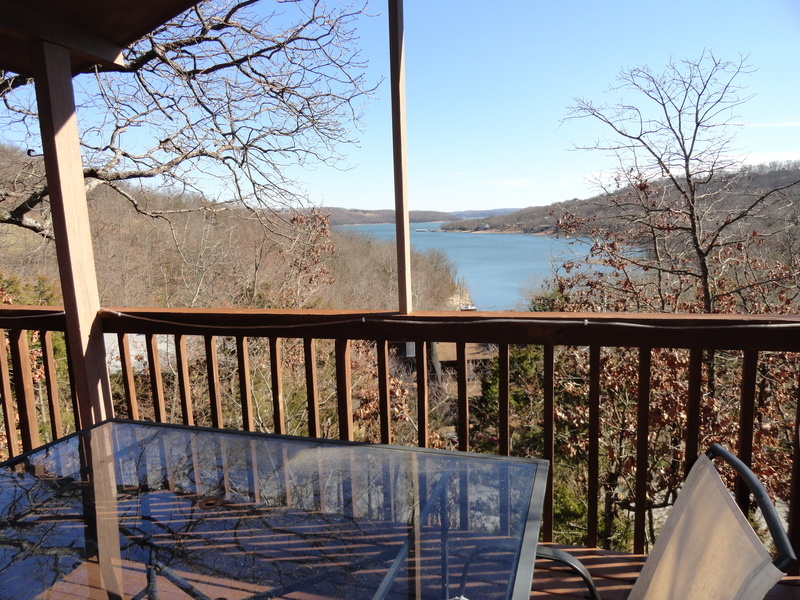 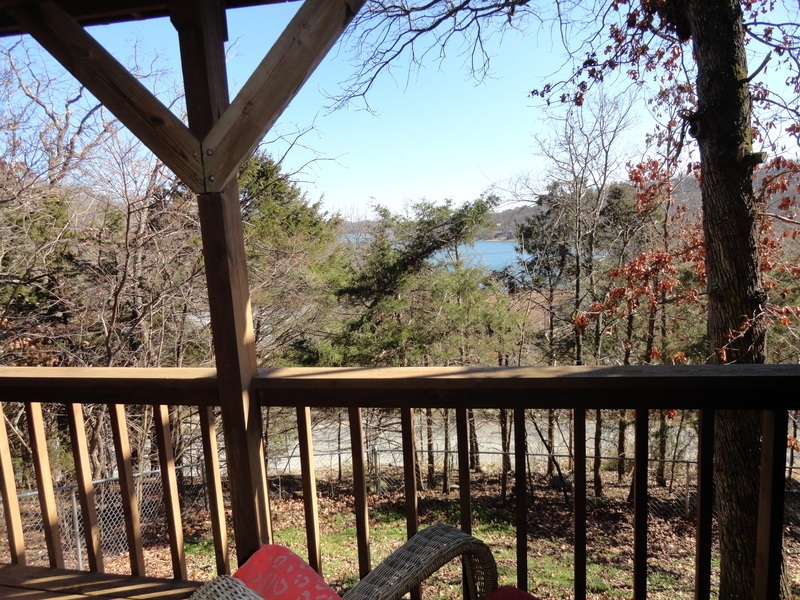 One of the best views of the lake from any home located in the village! 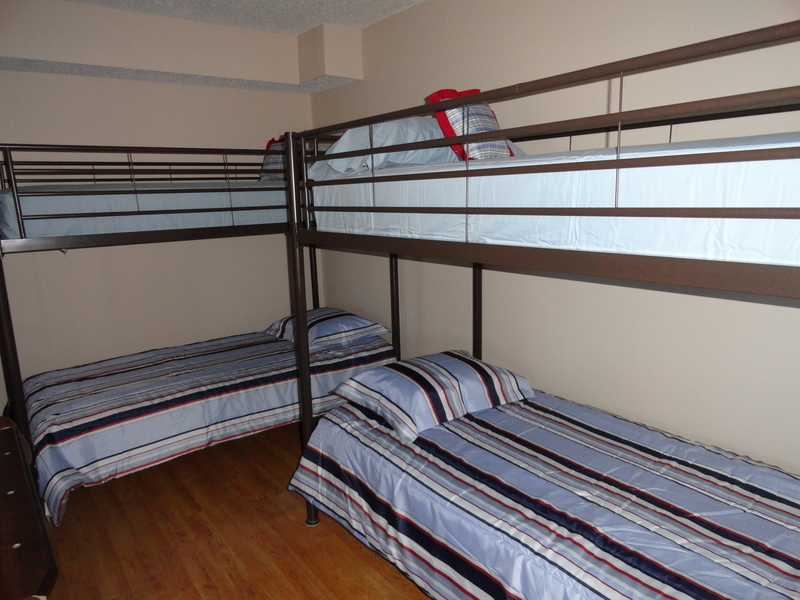 This home can sleep up to 15 people! 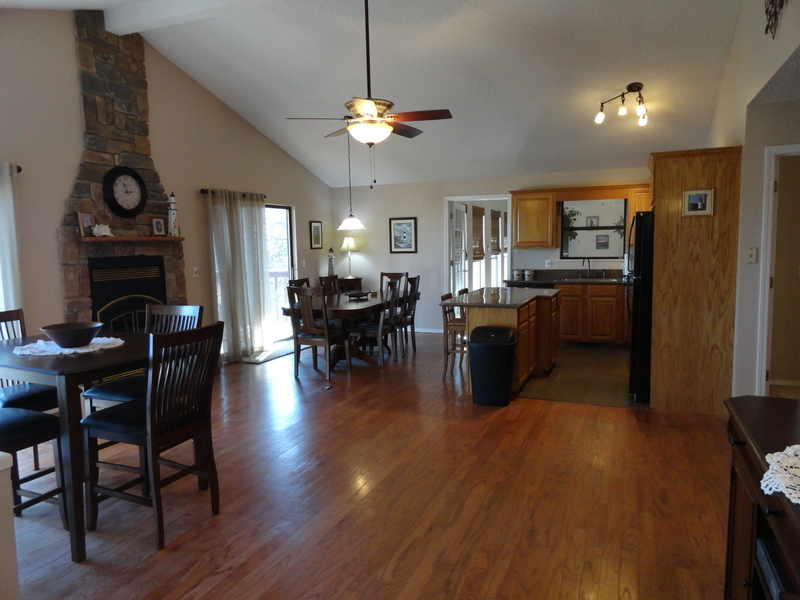 You will find a large, very open dining/kitchen area with fireplace and hardwood floors, also 4 full bedrooms, plus a family room downstairs with 2 bunk bed sets, large flat screen TV's, pool table and sectional couch, plus 3 baths. 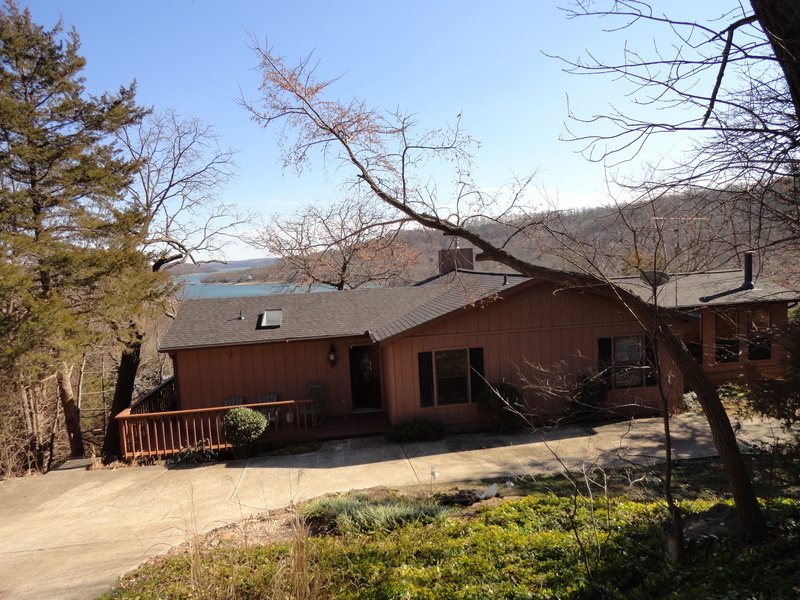 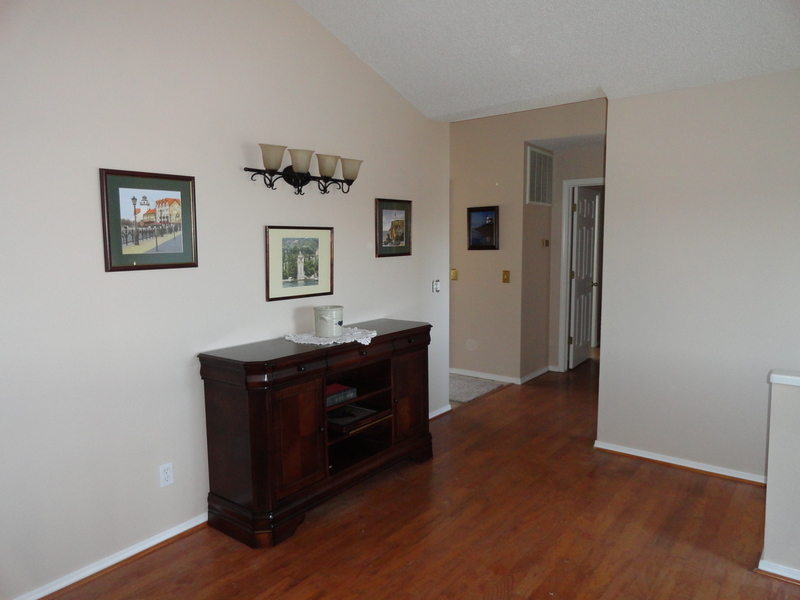 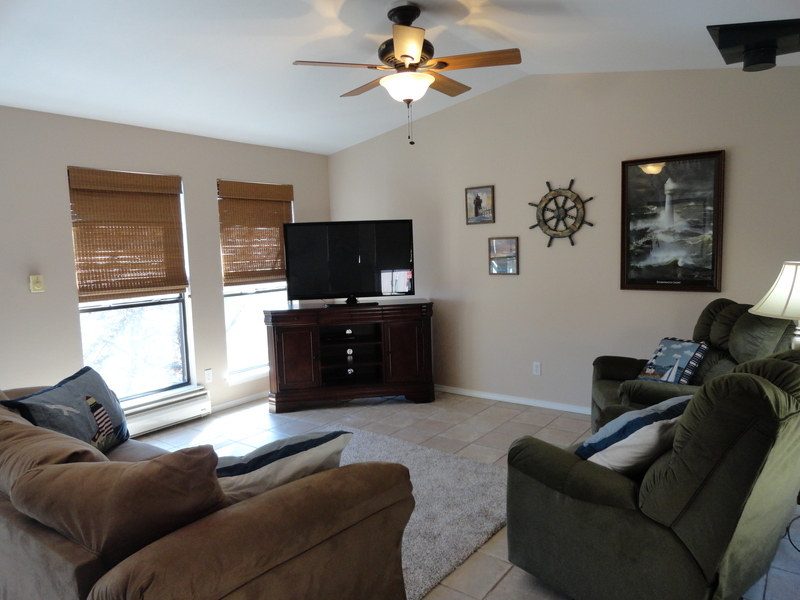 There is also a beautiful, fully enclosed sunroom that offers full views of the lake just off the Dining/Kitchen area with Large flat screen TV, Sofa Sleeper and daybed. 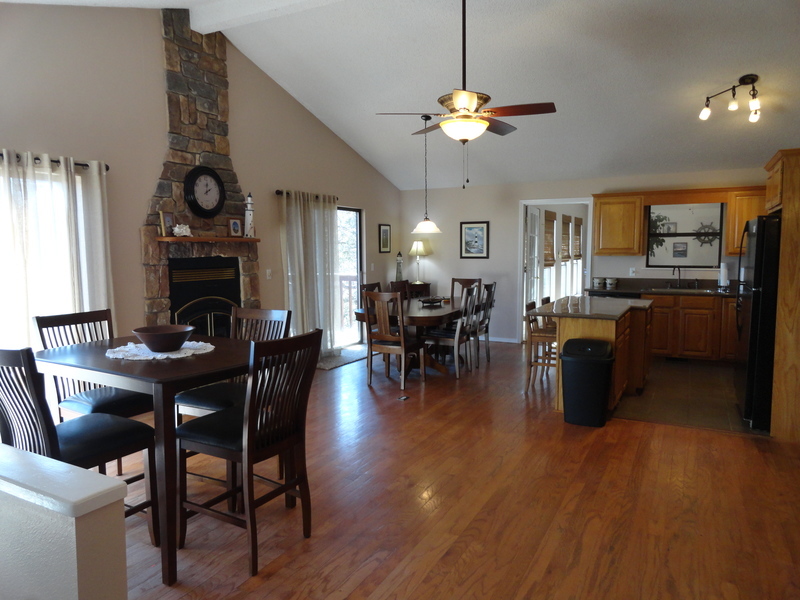 This home allows for everyone to gather on the upper level, or space for kids to enjoy in the family room downstairs while the adults enjoy each other's company upstairs. 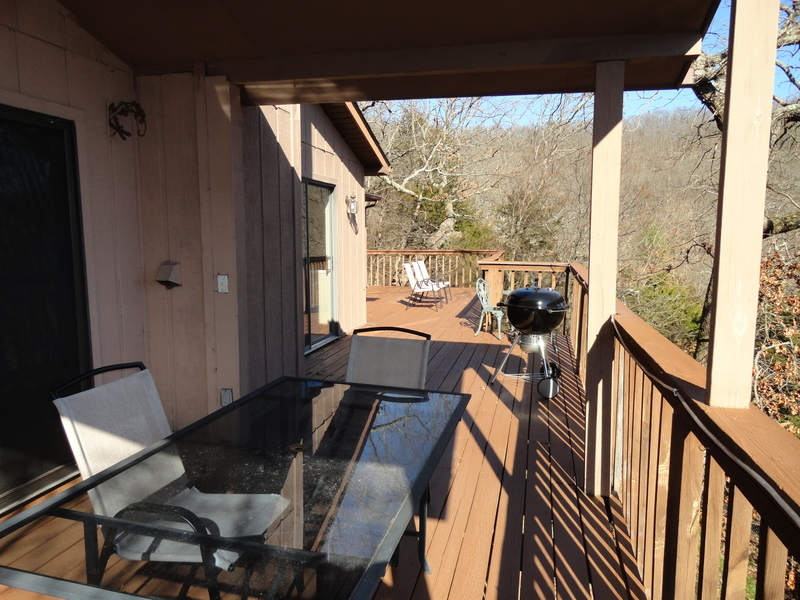 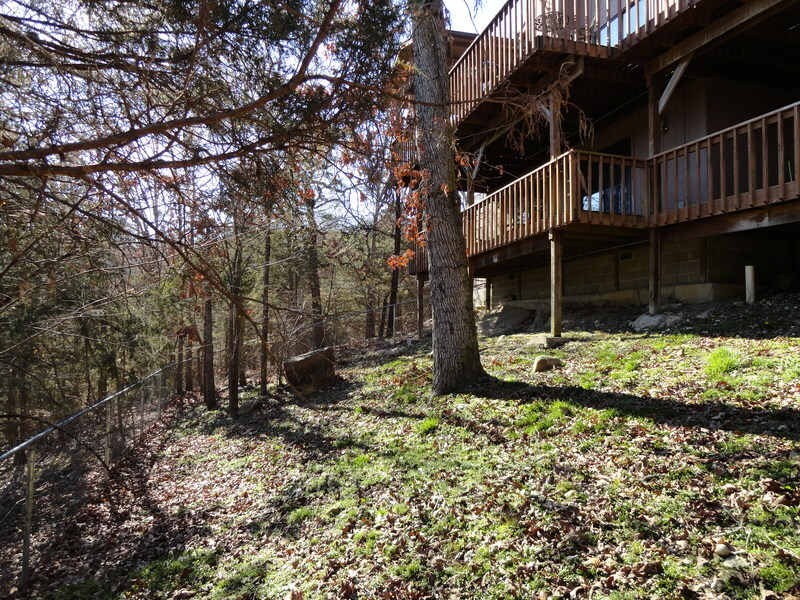 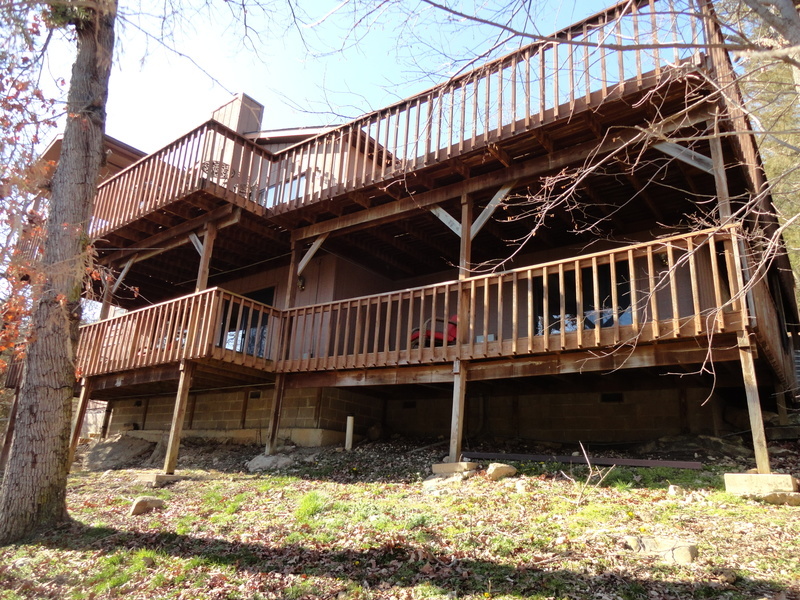 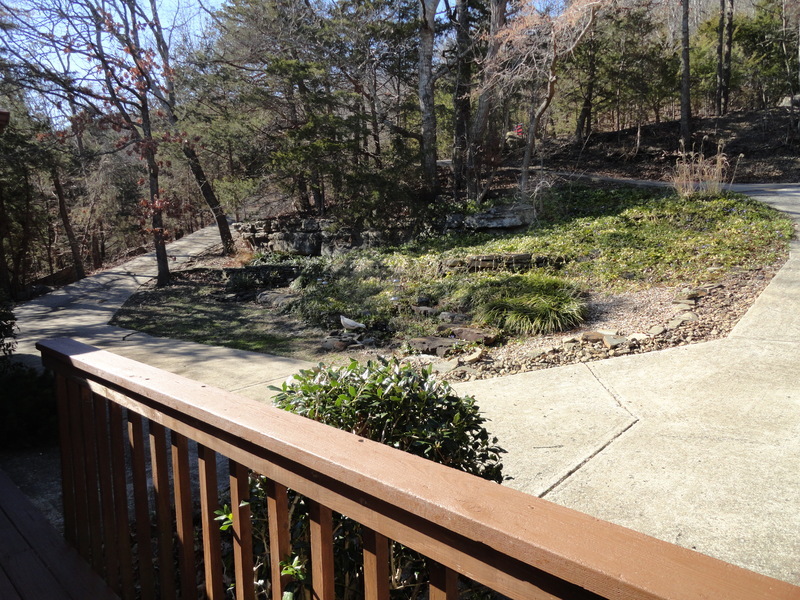 Large Decks run the full length of the back of the house on both levels.. Great for outdoor eating, as well as relaxing out of the sun. 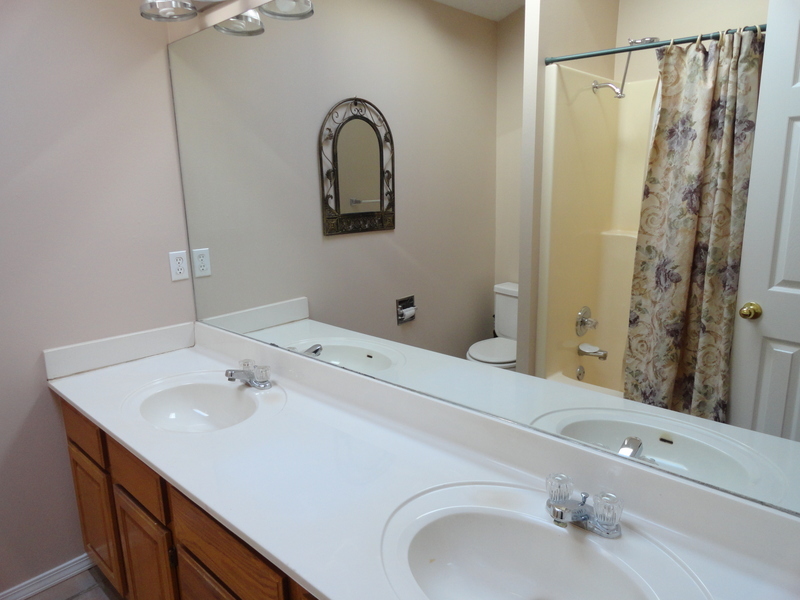 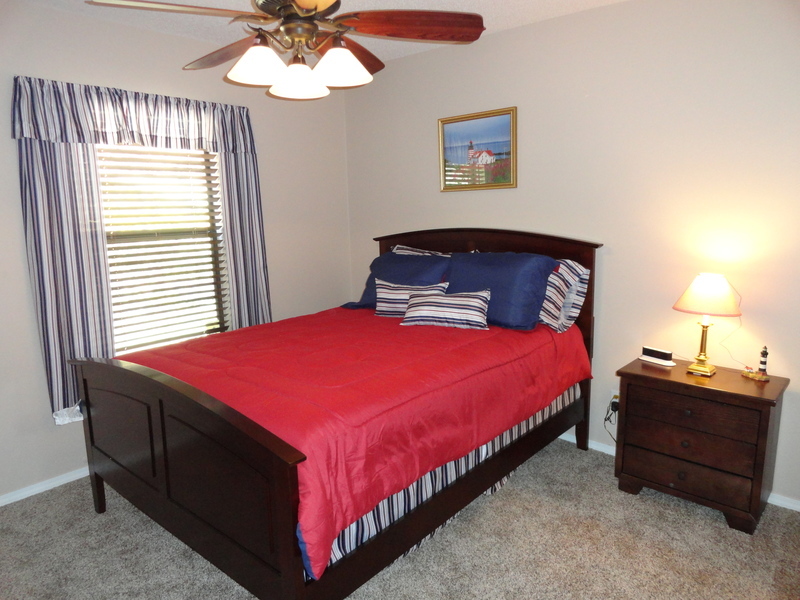 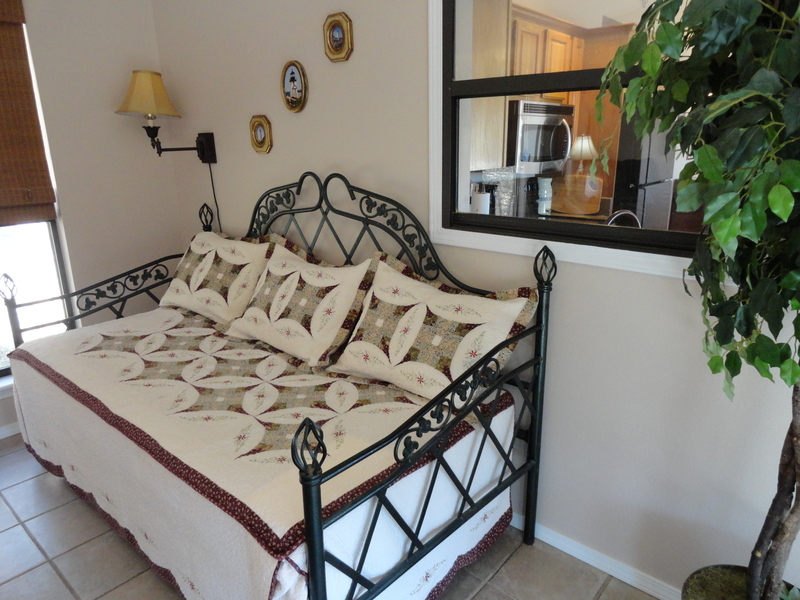 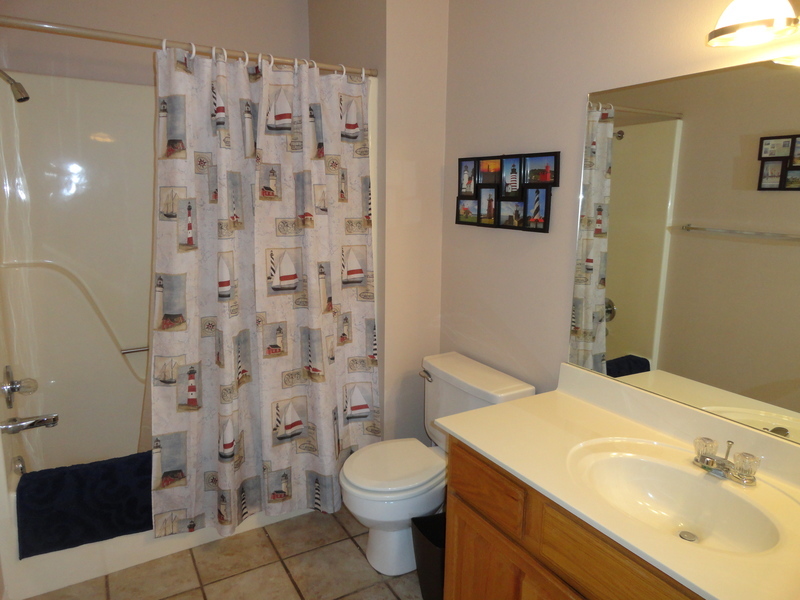 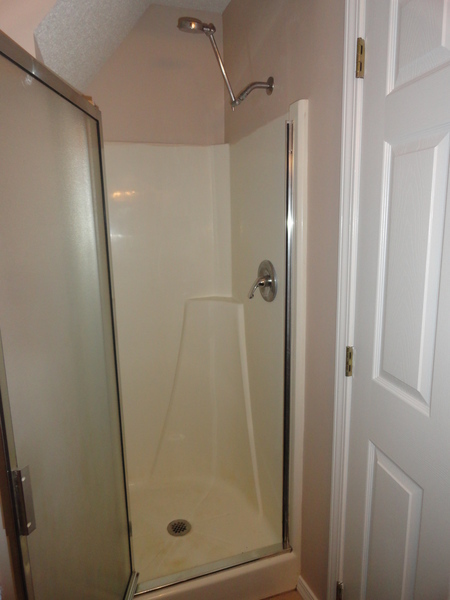 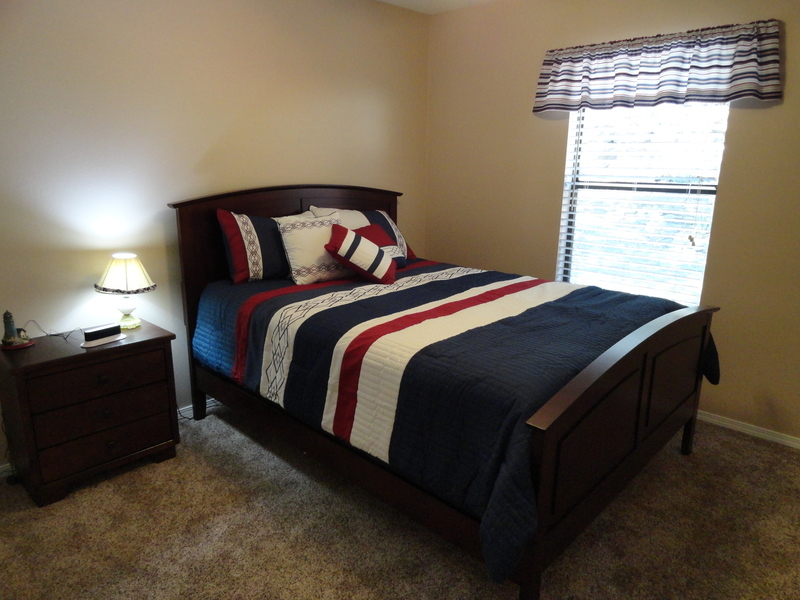 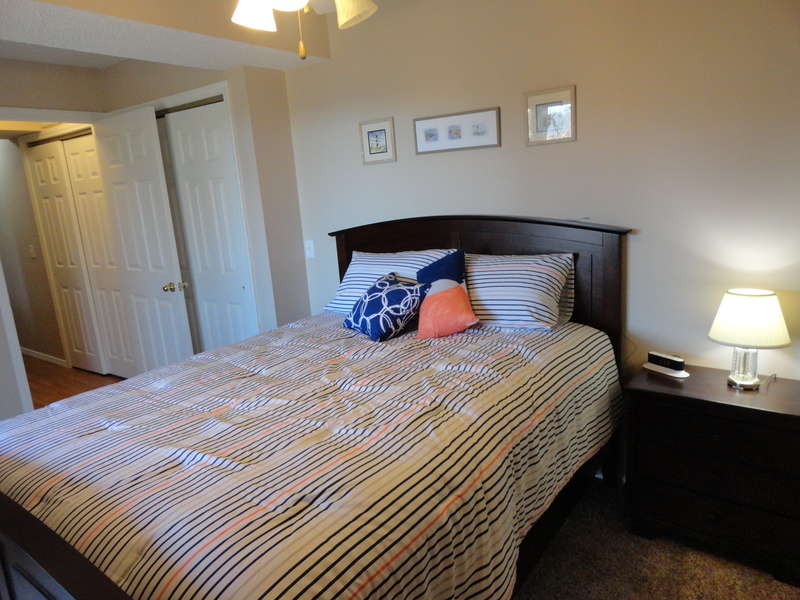 The master bedroom has a Queen size bed and its adjoining master bath has a tub/shower combo. 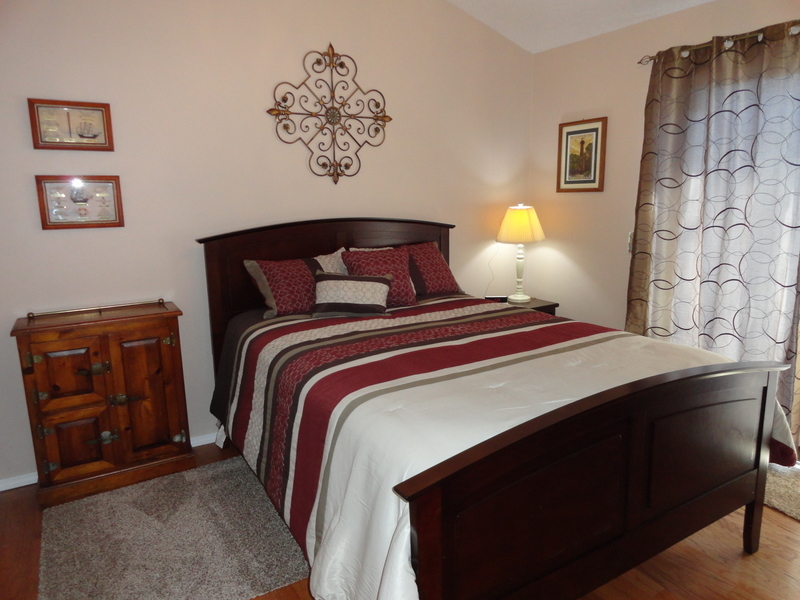 The 2nd, 3rd & 4th bedrooms have queen beds. 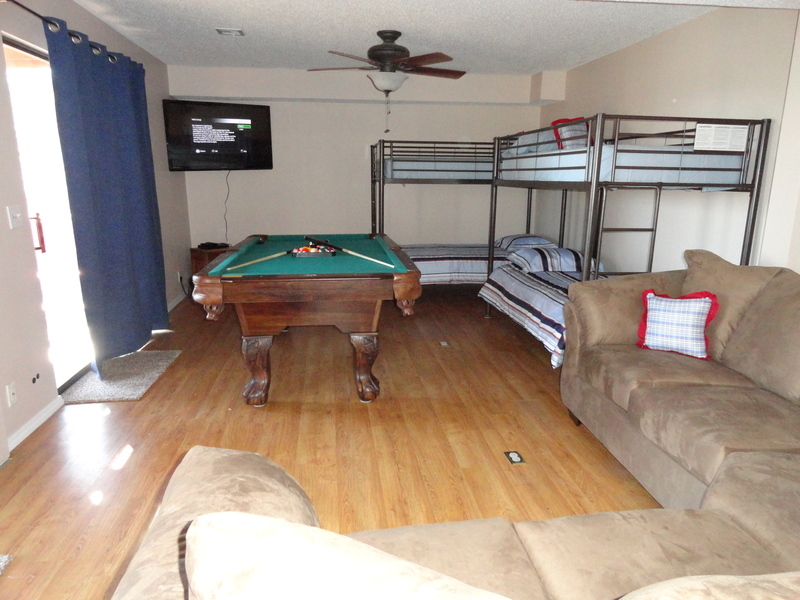 The family room has 2 sets of twin bunk beds at one end and a comfortable 'media circular coach for watching Internet TV, the local channels or watching those playing pool. 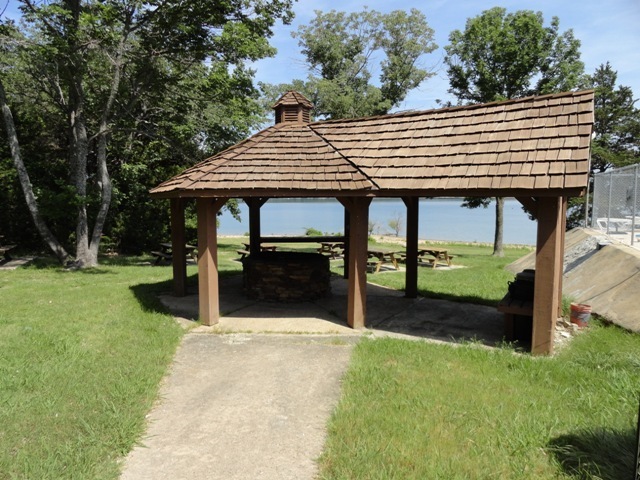 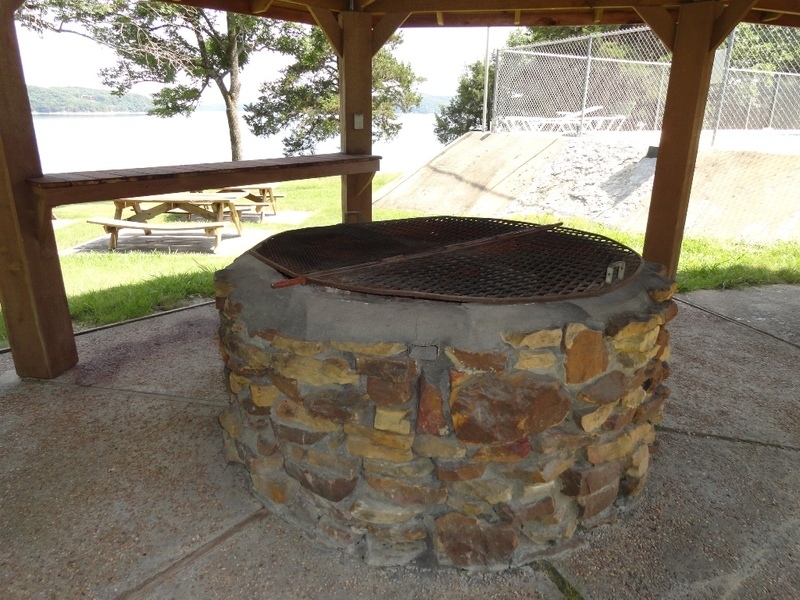 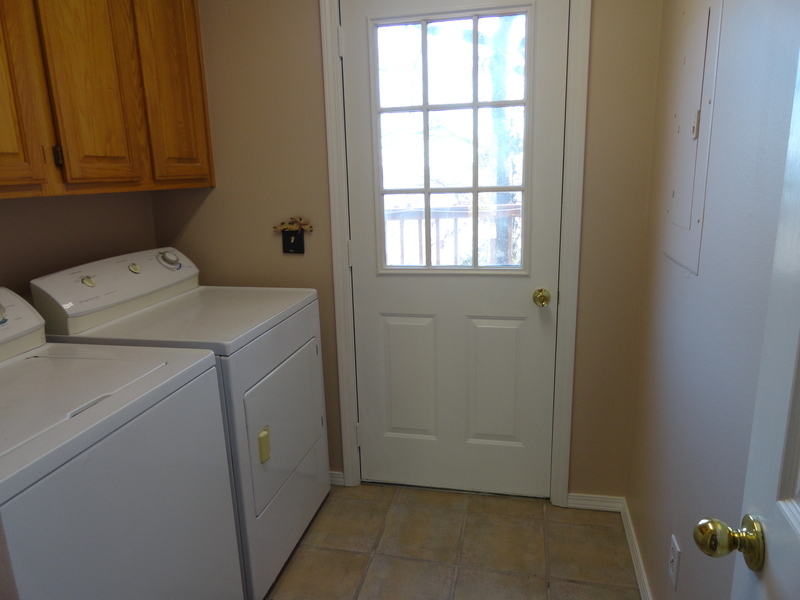 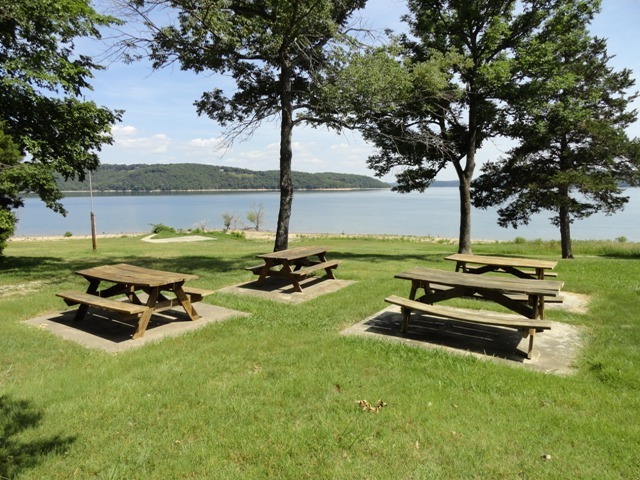 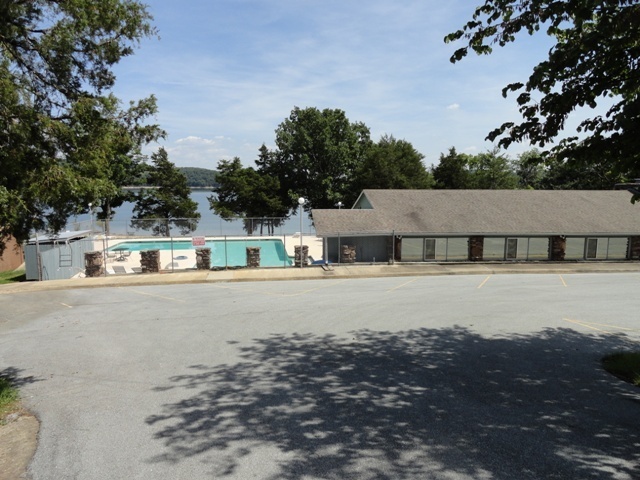 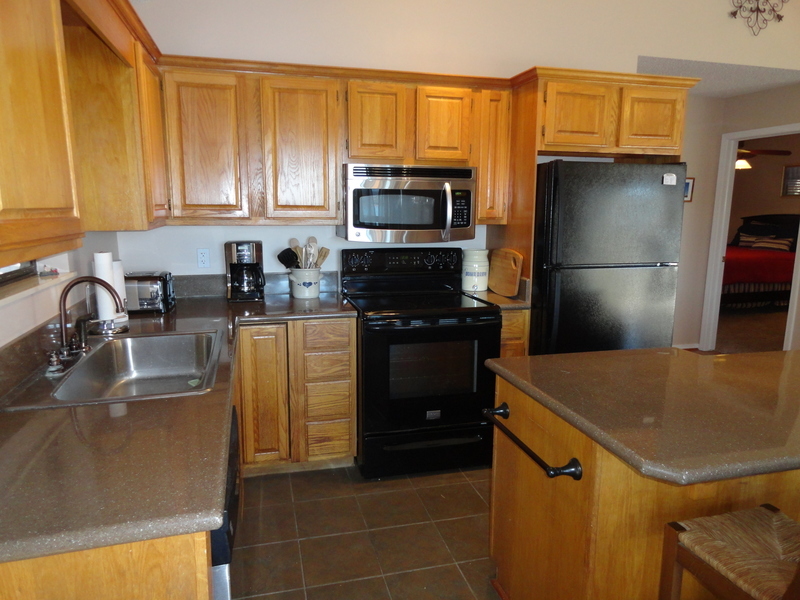 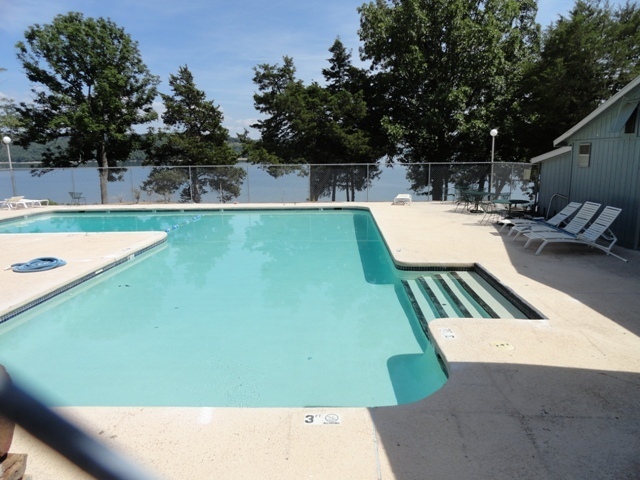 Other amenities include: washer and dryer, charcoal grill, outdoor deck furniture, Internet TV with Local Channels, WIFI and more..
Lost Bridge Village swimming pool available at $4.00/day/person, community Tennis Courts just down the street. 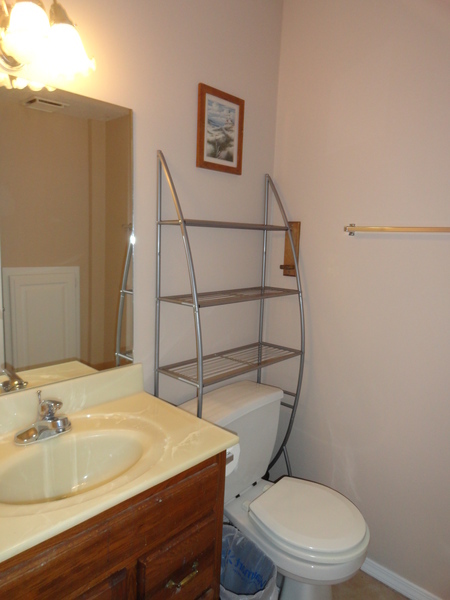 Boat slip nightly rental is available for $9.00 - $12.00 for a 20 to 26 ft. slip..at Lost Bridge Marina less than 2 miles away.